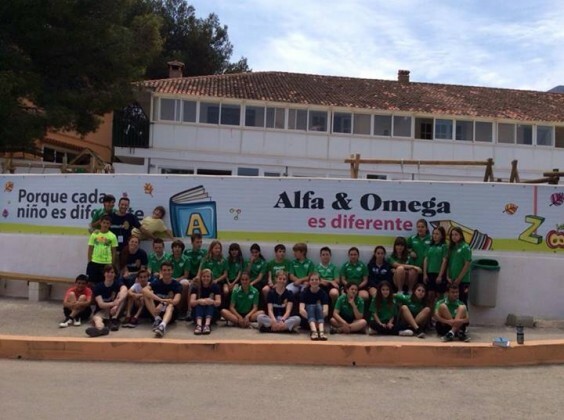 Colegio Alfa & Omega is a private co-educational K-10 primary and secondary school located on the southeastern Spanish Mediterranean coast in Dénia in the Alicante province of the Valencian Community of Spain. Dénia is an hour south of Valencia and an hour north of Alicante. The Colegio Alfa & Omega project began as an outreach of the Trinity Baptist Church of Dénia on September 13th, 1979 with the opening of the Montgó Nursery for pre-school children. The founders’ mission was to deliver a secular education conforming to the Ministry of Education of the Valencian Community’s general education curriculum standards but infused with Christian values. In June of 1992, Colegio Alfa & Omega opened its doors for Primary School K-6, and then six years later for Secondary School (ESO), years 7-10. There are currently 389 students enrolled in the preschool, primary, and secondary programs. Throughout more than 36 years of existence, Alfa & Omega has established itself as a leading educational institution in the Costa Blanca region. Since its beginnings in 1979, the school has played an important role in the society of the Costa Blanca region by emphasizing innovative teaching, tolerance, and open dialogue where students and families of various cultures, religions, socioeconomic status, and ethnicity come together in a caring, close knit community. Education is multilingual with instruction in Spanish, Valencian, and English. Alfa & Omega emphasizes English teaching and reinforces the language using special activities with the help of college students from around the world who participate in an international volunteer program at the school. Colegio Alfa & Omega goes beyond the classroom, offering a direct relationship with each family. In addition, the school offers an extensive summer program consisting of specialized camps where students can participate in various programs such as Nature classes, English language classes taught by native English speakers, and sports and swimming. The founding pioneers of the Alfa & Omega project in 2016 are still closely involved in the leadership of the institution. They include the Director (Head of School), Jorge Pastor; Vice-Director, Encarnación Sendra Galán; Pastor, Antonio Calero; and Antonia Soliveres Pastor. Félix and Sara have been working for years in the formation and development of leaders in Spain, as well as in the rest of Europe and in Latin America. This ministry includes the definition of training needs, program design and implementation and leadership development. 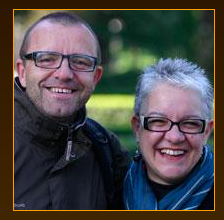 Felix and Sara are associated with Agape Europe which is the Western European branch of Campus Crusade for Christ International. In Spain, Agape organizes creative events to engage with young people and university students through the arts, sports, movies, urban culture and special weekend getaways. Agape promotes Christian family values to young couples and families through weekends and small-group materials. Felix and Sara live in Barcelona and have two children, Andreu and Anna. La Iglesia Evangélica Bautista la Trinidad de Dénia (Trinity Baptist Church) is Protestant Baptist church with an open community that celebrated its 100th birthday in 2014. The church has survived the Spanish civil war, Franco's persecution, and state-sponsored discrimination towards Protestant churches. During the Civil War, church members buried local opposition executed by the Falange, and during Franco's dictatorship, leaders of the church were forced into hiding in caves. Today, the church thrives as one of the largest Protestant churches in Spain. The church is a central pillar of the Costa Blanca community and is dedicated to overcoming poverty, injustice, enmity, and war. The Centro de Encuentros Cristianos Montgó is a Christian center affiliated with the Baptist Union of Spain. The center is used for camps, retreats, workshops, and meetings organized by the church and houses a team of international volunteers who help with its smooth running. The International Volunteer program is a wonderful way to spend a gap year serving others in a caring Christian environment. Here is a blog by a volunteer from the US, JW Daniels, who was in Dénia during 2015. The photos are terrific, as is the narrative.